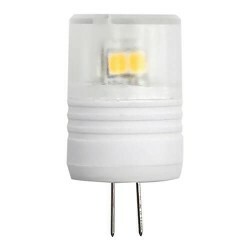 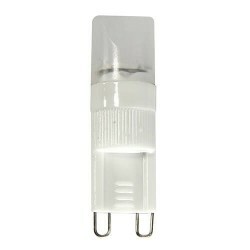 Compact in size, but delivering big energy savings, LED Wedge and G4 (bi-pin) base lamps are the perfect halogen replacement for fixtures typically used in landscape, accent, under-cabinet, pendant an.. 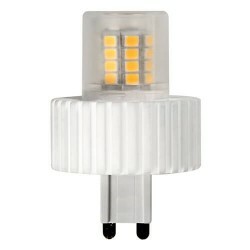 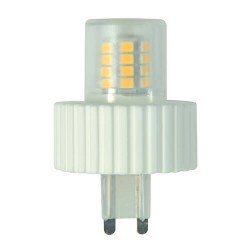 The G9 Retrofit Lamp is an energy-efficient alternative to Halogen T4 G9 based lamps. 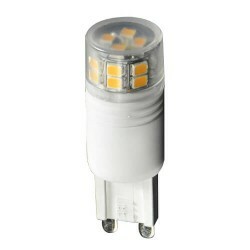 The two-watt retrofit lamp captures the traditional form factor of this popular light source, while the three a..